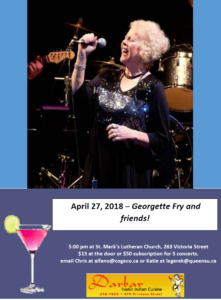 This concert features 1994 Juno nominee and veteran of the Canadian music scene, blues and jazz artist, Georgette Fry. 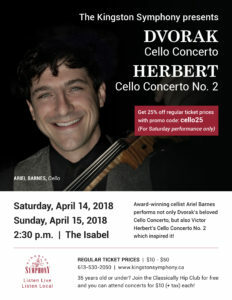 The concert is at 5pm at St Mark’s Lutheran Church, 263 Victoria Street. Admission is $15 at the door but only $5 for Queen’s students! 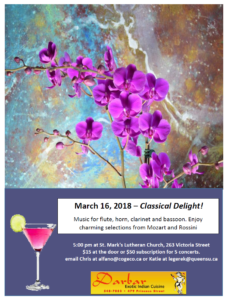 Next concert, May 18th, features Chris on bass clarinet and Katie on contrabassoon, joined by our favourite pianist, Michel Szczesniak. 25% off promotion for this weekend’s KSO concerts! 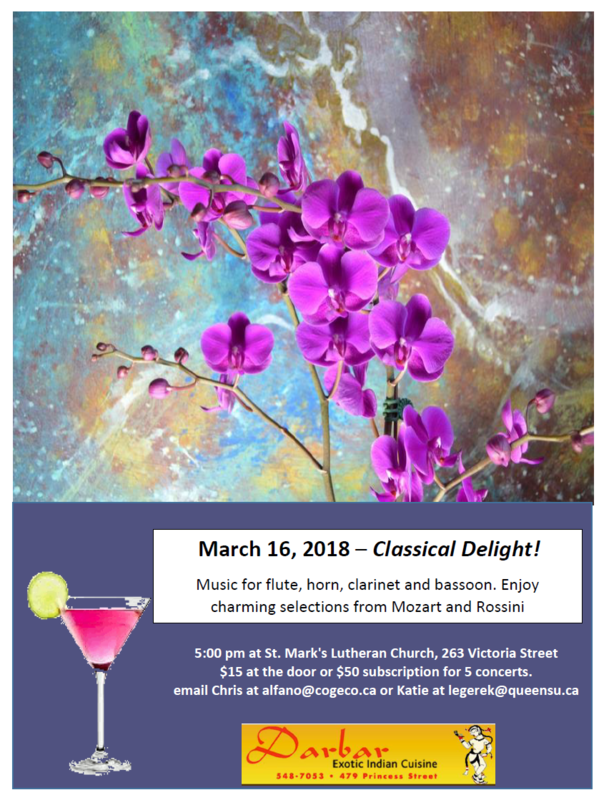 This concert features Chris Alfano, clarinet; Katie Legere, bassoon; Cory VanAllen, horn; and Bill Egnatoff, flute, playing charming Classical works for wind quartet by Mozart and Rossini. Next concert, April 27th, will feature 1994 Juno nominee and veteran of the Canadian music scene, blues and jazz artist, Georgette Fry. Fess up – you’d rather play bassoon than try the One Handed Tree Pose well wouldn’t anyone? 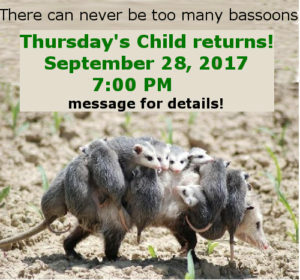 Join our merry band of misfits for an hour of bassooning, Thursday Oct 26 at 7pm. Thursday’s Child returns in September! I know you missed it but.. it’s back! returns to life in Kingston Ontario with our first rehearsal, September 28, 2017. Email Katie at legerek@queensu.ca for more details. Last week I was practicing for a upcoming solo appearance and I thought I would try out different ways of playing through distraction. I love listening to Podcasts and Podcast playlist (http://www.cbc.ca/radio/podcastplaylist) is one of my favourites. So.. I opened it up on the stereo in my studio and turned it up so that I could here myself play and hear my metronome but could still also follow the program. Why would I do this to myself? Isn’t it tough enough to concentrate without making it harder? Aren’t you supposed to get rid of every distraction and focus? Yes, I absolutely try to emulate a performance before it happens. But it’s hard to emulate that person in the front row snoring or coughing or leaving suddenly…. so I also try to learn to focus through distractions. 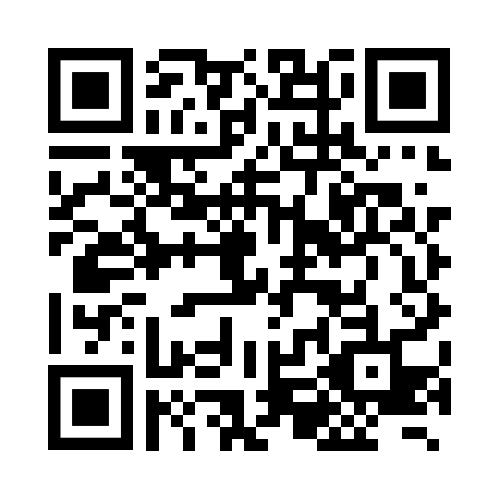 Sometimes i also discover a new podcast too!